So since we got rained out of shotguns for the time being, they decided to have some classroom instruction on the three different weapons for 3-gun. 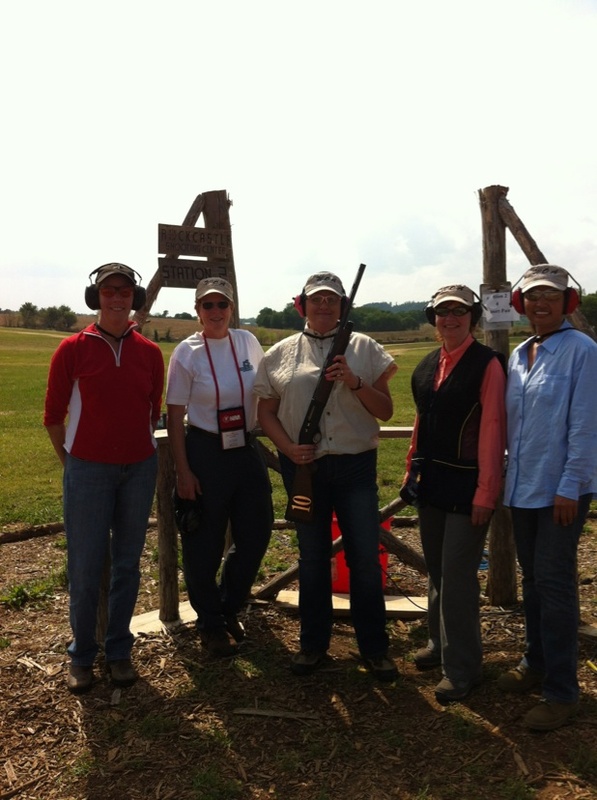 Head rifle instructor Kay Miculek spoke on the 3-gun course and how it was practical shooting. We will be using Smith and Wesson M&P 15s in .22lr with a red dot sights. We also were taught the basic operations of the Smith and Wesson M&P 9mm. 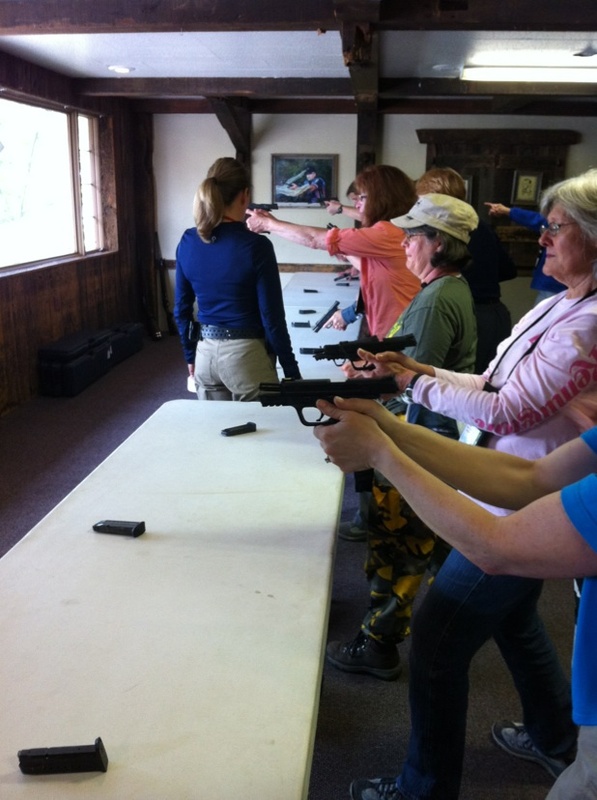 Head pistol instructor Debbie Keehart talked about sight picture, proper stance, and proper grip. It was a little different than what I was used to, but it seemed a lot better than what I was used to doing as well. Eye dominance was also discussed. I knew I was cross eye dominant, but I was never really taught what exactly to do about correcting for it. Turns out as I found out later all I needed was some scotch tape. We lined up and dry fired and had a whole slew of instructors there to help us adjust our stance and grip. It felt pretty comfortable, but I'll just have to wait and see how it goes once I can actually shoot it. At this point my head was feeling very full and I was feeling very overwhelmed, so I skipped out on the shotgun training to lie down until lunch. After another long wait for food at lunch we were all set to go hit some clays. Of course nothing could quite go as planned, so we were on another weather delay. 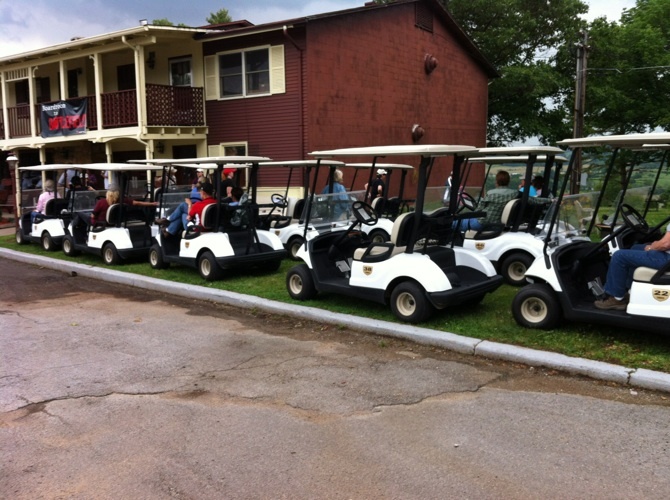 But this time we had been given golf carts! 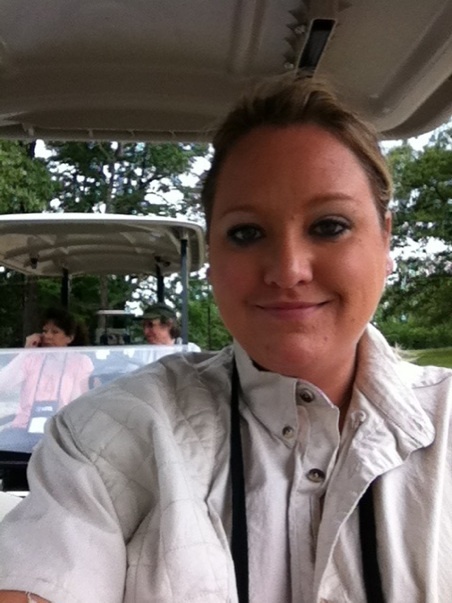 The property at Park Mammoth is huge so the golf course gave us all golf carts to get around. We all zoomed, er… puttered, around the parking lot weaving in and out of cars trying not to hit each other. At this point this was the most fun I'd had. Seriously, it was really fun. 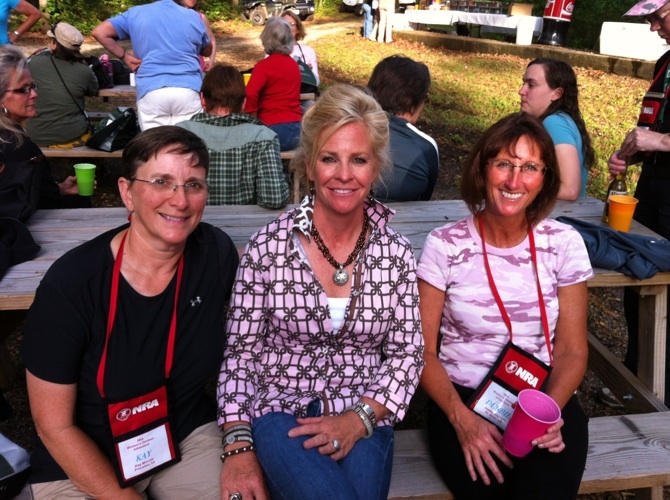 Finally we got the go ahead to go over to the sporting clays and 5-stand area. The drive over very much reminded me of driving my old Jeep on country roads back home in West Virginia. It was beautiful and some parts were a little off-road-ish. And I made every attempt to hit the wet mud holes. Once we arrived at the 5-stand we broke up into small groups to shoot. I needed a little extra help since I skipped the earlier training, but then I was good to go. Except when I got up there I couldn't focus correctly because of the cross eye dominance thing so they covered my left pupil with scotch tape. Let me tell you it made a world of difference. I hit 3 out of 5 my first round. Not too shabby for not shooting so much. 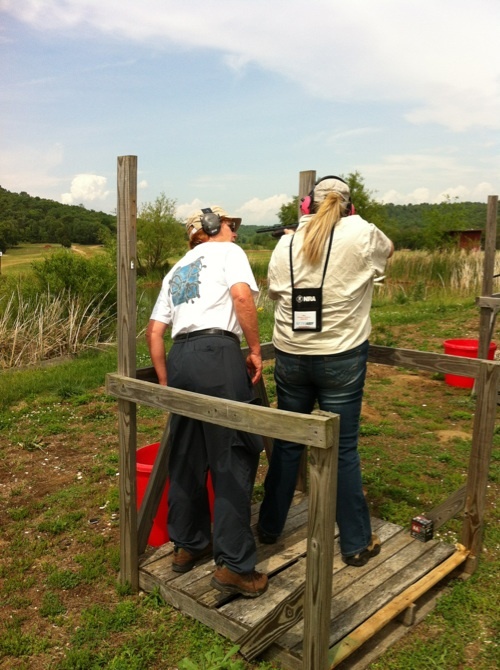 Head shotgun instructor Elizabeth Lanier helped all of adjust then set us on down to shoot sporting clays. My badass B group girls were together for this and we rocked it. I hit 4 out of 5 a few times and the other ladies did great as well. Below is a picture of all of us with instructor Judy. I got to hold the gun because I did the best that round. Yay me! But it wasn't about that. We just really enjoyed shooting and being with each other. Everyone was so kind and supportive. It makes for a really great atmosphere for learning and growing. After shooting we headed back to the lodge for a much needed rest and freshening up. Dinner was served outside near the mouth of one of the caves. It was really nice and super beautiful. We had some great conversations and found out more about each other. A few of us decided to head back early and catch up on some rest. I'm pretty glad I did too, because this might not have gotten written if I stayed out much longer. I'm beat, but excited for the rest of the week. Lots of shooting yet to come! Next up, the B team tackles rifles in the morning. Wish us luck! 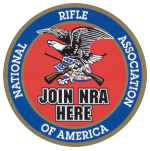 < "NRA WOA: Day One in the Books"